Whether you want to dress as a gladiator or one of the Greco-Roman elite, you can find the ideal Greek and Roman Bracelets for your historical look here! 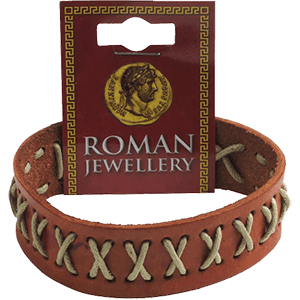 We carry a fun selection of Roman and Grecian bracelets in a mix of styles ranging from stitched and woven leather bracelets to gold-plated torc bracelets to colorful beaded bracelets and everything in between. These Greek and Roman bracelets, wristbands, cuffs, and other wristwear pieces look great on anyone aiming for Hellenistic style for a special event like a toga party or historical reenactment or just for everyday wearing. Take a moment to browse among our selection, and you are sure to find the perfect Roman or Greek bracelet to suit your taste! 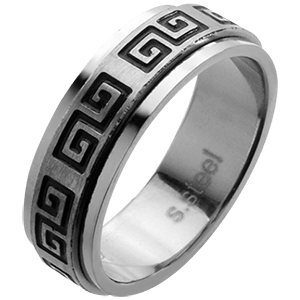 Show off excellent Greco-Roman style with the help of our array of Greek and Roman rings! 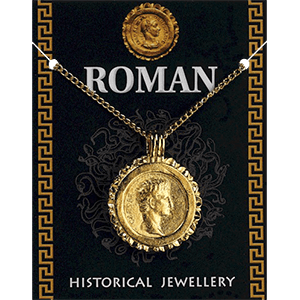 Our Roman and Greek ring designs are perfect for dressing up as an emperor, gladiator, citizen, priestess, or soldier with their range of Hellenistic symbols and motifs. A number of these Roman and Grecian Rings are crafted from fine materials like pewter and gold and are decorated with faux gems and other details. For a unique twist, check out our Greek and Roman ring knives, which have claw-like blades on helmet rings in gladiator and Spartan styles. When you are planning your look for your next toga party or theatrical performance, make sure no detail is left out. 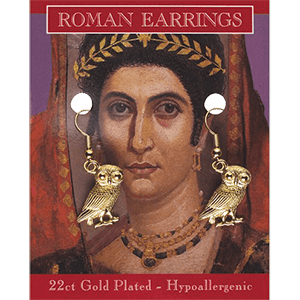 Our Roman and Greek rings go great with our other historical jewelry, making them a fun choice for a variety of ensembles. 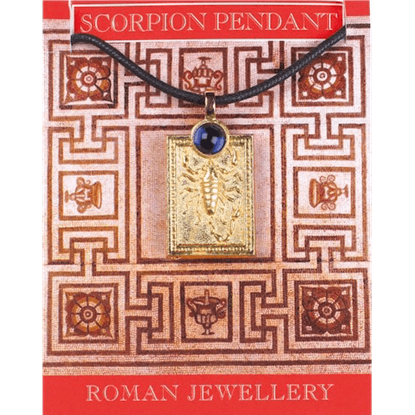 Symbolic of the Praetorian Guard, this Pewter Scorpion Gem Necklace depicts a wicked scorpion guarding a pretty jewel. 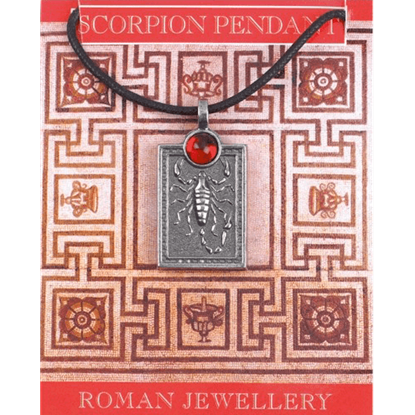 This necklace comes with an information card that gives a few historical facts about the Praetorian Guard.